CSIRO leases time from NovaSAR satellite for images of SA bushfires, floods. No image credit. In 1969, I sat on the floor of my classroom watching, spellbound, as Neil Armstrong took his first steps on the Moon. I never dreamt that a few decades later, I’d be one of the first to see images from Pluto as part of the critical role CSIRO’s team at the Canberra Deep Space Communication Complex plays in NASA’s New Horizons and Cassini missions. How could a kid sitting in a classroom in Sydney, miles away from the rest of the world, believe Australia had such an important part to play in our exploration of space? Today few schoolchildren — in fact, probably few adults as well — know the unique role Australia plays in the global space network. Australia is positioned perfectly to look up into the centre of the galaxy — something you can’t do from many other parts of the world. That outstanding location and our world-class capability in space science underpins a phenomenal contribution to international space programs. CSIRO and NASA’s partnership stretches back more than 50 years, grounded in our world-class infrastructure and scientists at Canberra and Parkes, and fuelled into the future by our shared ambition to push the boundaries of exploration to benefit life back on earth. From November, CSIRO will control all NASA’s deep space assets worldwide for about a third of every day, using the ‘follow the sun’ protocol, as well as communicating with European and Indian spacecraft. It’s a rare day in our control centres when we don’t talk to partners on every part of the globe. But beyond the beauty, the mystery, and the innate lure of the vast universe that surrounds us — what’s in it for Australia to invest in space? For a start, if you’re reading this online, chances are you’re using WiFi, invented by CSIRO and using an algorithm we developed in radio astronomy work. But what about implications for the environment? On a daily basis, many dedicated people across CSIRO deliver crucial insights through Earth observation. 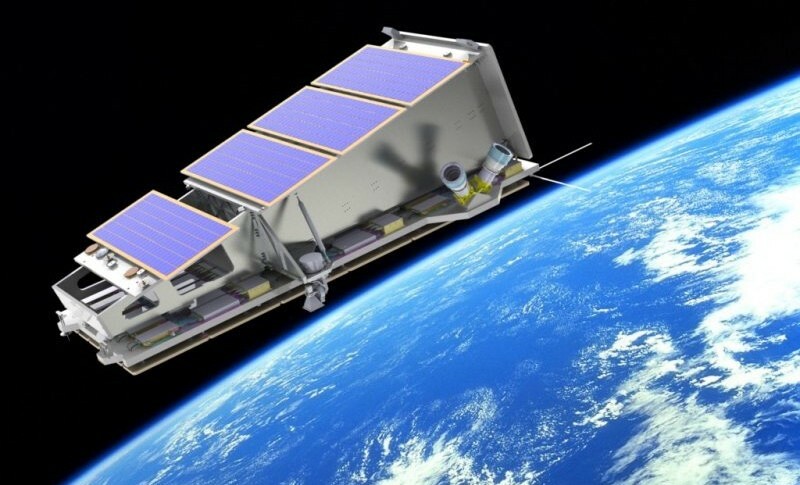 They work closely with more than a dozen international space organisations to turn big data into insights that solve challenges ranging from disaster prevention, bushfires, floods and spills, to biosecurity threats. We partner with the European Space Agency (ESA) to access their international satellite data, and with NASA to monitor places from the Great Barrier Reef to the Great Australian Bight, to the Lake Eyre Basin to the Adelaide Hills. And today, here in Adelaide, we were thrilled to announce CSIRO has purchased a 10 per cent share of the NovaSAR Earth observation satellite, giving Australian scientists first usage rights when it flies over Australia and Southeast Asia, strengthening our ability to understand our environment and prepare for our future, and for the first time, giving Australian scientists the ability to control an imaging satellite. 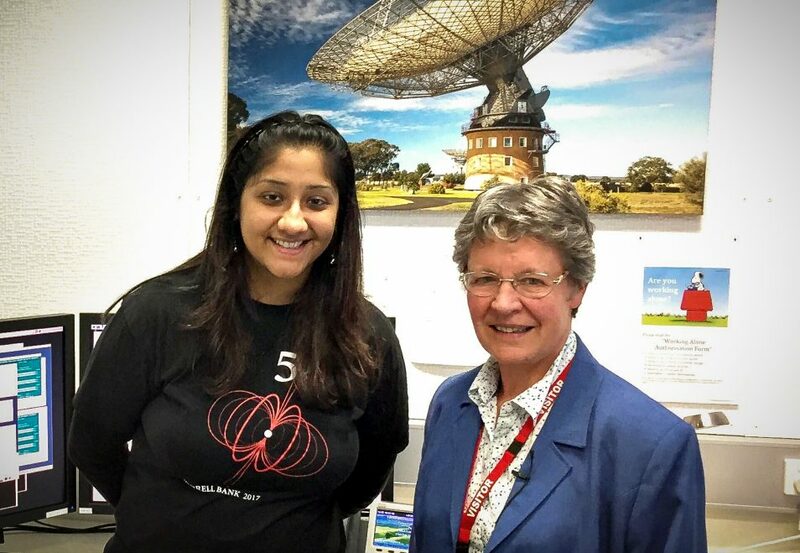 But you don’t have to be a space organisation to be part of CSIRO’s space team. We work with Australian businesses up and down the space supply chain who benefit economically. For example, our partnership with EMC, a small business based in Perth, is about to deliver the world’s first solar power solution suitable for a radioastronomy site at our Australian Square Kilometre Array Pathfinder (ASKAP) in Murchison, WA. This same site will soon be the Australian home to the world’s largest telescope. The project has been a brilliant result for EMC, which grew from a workforce of 10 to over 100 during the project. They’re now positioned to take on global radio astronomy energy tenders — and beyond. Building on our long, strong history of partnerships with international space organisations, we’re seeing more deeply into the Universe, in more detail into our own environment, and sharing the benefits across our economy. So what’s next? Australian science created the coatings on every Boeing aircraft, and as we go to Mars don’t be surprised to see Aussie innovation along for the ride. 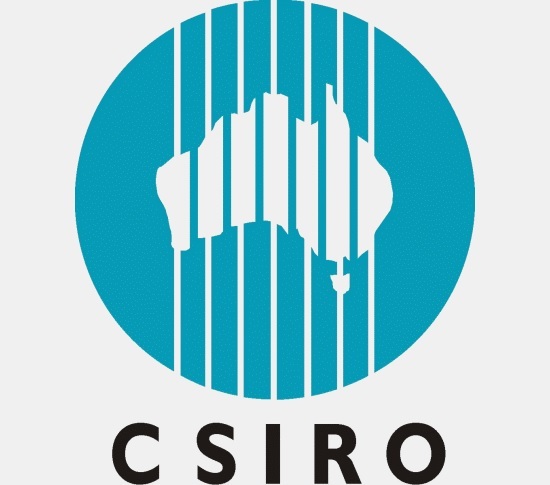 CSIRO collaborates with every Australian research institution, with the nation’s space advantage driven by this network of brilliant minds, working collaboratively to deliver the best outcomes for our nation. Our opportunity is as unlimited as space itself. This pack of galaxies has been spotted by International Centre for Radio Astronomy Research (ICRAR) researchers using CSIRO’s Parkes Observatory in NSW. The study was published today in Astronomical Journal. In the absence of any indication as to what it may be, astronomers have simply dubbed it the Great Attractor. Is it a monster-black hole? Or a whole army of these collapsed points in space-time? “Some astronomers think the Great Attractor is a super-supercluster of galaxies; some astronomers think that some regions of the universe are “darker” than others,” Professor Staveley-Smith says, referring to densities of the invisible source of gravity dubbed Dark Matter. The Parkes radio telescope is a 64-metre dish that was activated in 1961. It was more recently modified with an innovative receiver, allowing the international team of scientists to peer past the ‘interference’ of our galactic core into unexplored space. “The Milky Way is very beautiful of course and it’s very interesting to study our own galaxy but it completely blocks out the view of the more distant galaxies behind it,” says Professor Staveley-Smith. What the survey revealed was a field of 883 galaxies, a third of which had not previously been suspected says Professor Staveley-Smith. University of Cape Town astronomer Professor Renée Kraan-Korteweg — also part of the research team — said astronomers have been trying to map the galaxies hidden behind the Milky Way for decades. So what caused this odd accumulation of galaxies? That bit remains the problem. Dr Koribalski says innovative technologies on the Parkes radio telescope had made it possible to survey large areas of the sky quickly. And things are about to get much, much better. Copies of this receiver have been purchased from CSIRO by United States and Chinese astronomers to upgrade their own radio telescopes. But this receiver is being temporarily removed from the Parkes telescope this week. A new Phased-Array Feed (PAF) is being attached for testing. This will offer much faster scanning of the skies than current equipment, combined with a twenty-fold increase in resolution. Dr Koribalski says she expects the new scope will detect an additional 10,000 galaxies tucked away behind our own. It may also, hopefully, paint a trail to the ‘Great Attractor’ itself. 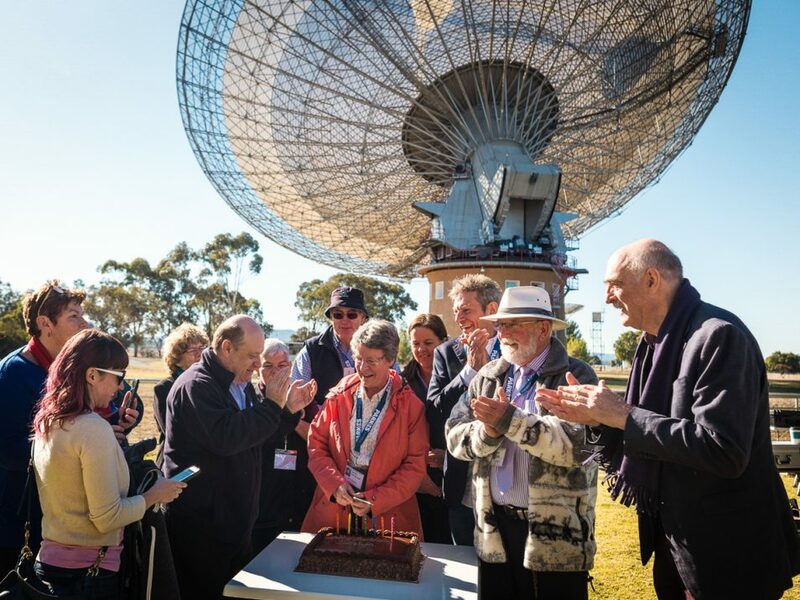 Astronomers were on a celestial fishing expedition for pulsing neutron stars and other radio bursts when they found something unexpected in archived sky sweeps conducted by the Parkes radio telescope in New South Wales, Australia. The powerful signal, which lasted for just milliseconds, could have been a fluke, but then the team found three more equally energetic transient flashes all far removed from the galactic plane and coming from different points in the sky. Analysis later indicated that, unlike most cosmic radio signals that originate in the Milky Way or a nearby neighbor galaxy, these four seem to have come from beyond. Whatever triggered the bursts has come and gone. The signals, detected between February 2011 and January 2012, were one-time events so little follow-up work can be done. What is known is that in just a few milliseconds, each of the signals released about as much energy as the sun emits in 300,000 years. “They have come such a long way that by the time they reach the Earth, the Parkes telescope would have to operate for 1 million years to collect enough to have the equivalent energy of a flying mosquito,” astronomer Dan Thornton, with the University of Manchester in the United Kingdom, wrote in an email to Discovery News. Scientists have all kinds of theories about what exotic phenomena may have triggered the bursts. The contenders include colliding magnetars, which are neutron stars with super-strong magnetic fields; evaporating black holes; and gamma ray bursts that involve a supernova. Or, as Cornell University astronomer James Cordes points out, the bursts could be from an entirely new type of high-energy astrophysical event. “It is still early days for identifying the astrophysical origins of such common but (so far) rarely detected events,” Cordes wrote in an article published in this week’s Science. Whatever is happening is probably a relatively common, though difficult to detect, phenomenon. Extrapolating from the research, astronomers estimate there are as many as about 10,000 similar high-energy millisecond radio bursts happening across the sky every day. “This might seem common, and it is, but you need a big telescope to detect them,” Thornton said. Similar radio signals have been found before, but astronomers could never nail down whether they came from inside or beyond the galaxy. 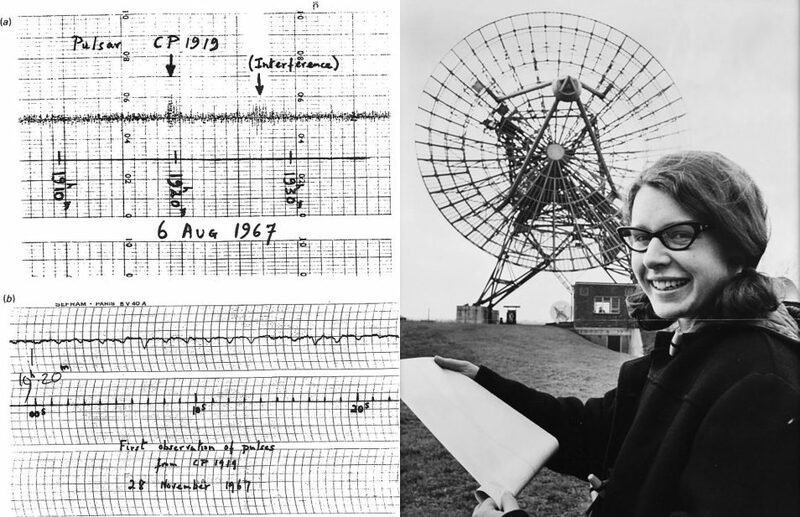 Thornton and his team did so by characterizing the plasma the radio waves had to travel through before reaching the telescope. The shape of the wave is impacted by the amount of plasma along the signal’s path. The astronomers found that these four signals traveled through more plasma than what could be accounted for by interstellar gas in the Milky Way. They suspect the extra gas lies between galaxies, a finding that opens the door to a potential new technique to probe the contents of distant galaxies and why lies between them.